This is the last in a series on issues related to the nationwide unified local elections ahead of the second round of voting on Sunday. At a glance, the town of Kanna in southern Gunma Prefecture looks like just another beautiful rural community, surrounded by deep mountain forests stretching along the Kanna River, which is touted as having some of the clearest water in the Kanto region. But a quiet crisis looms in this town, one that may foreshadow the fate of hundreds of other aging rural communities across the country. With little prospect of a vibrant future, they are also facing a shortage of leaders running in local elections who are eager to save their hometowns. 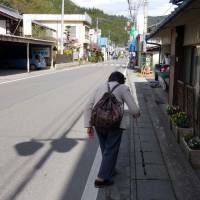 Of Kanna’s 2,139 inhabitants, 1,186 — or 55 percent — were aged 65 or older as of April 1. The community is predicted to “vanish,” with few children being born here and most young people moving away. 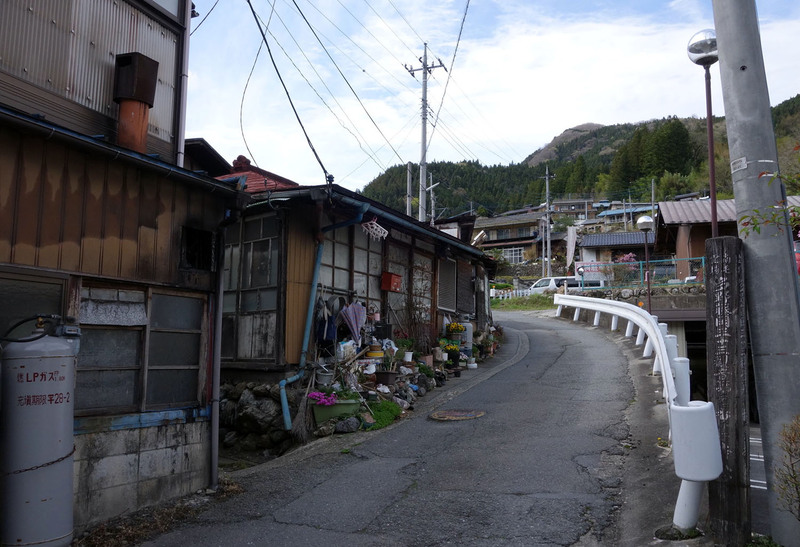 “Everybody says the town will soon disappear,” said a local woman in her 80s, who only gave her family name as Tanaka. “Look, this house is empty, and that one is so, too,” she said, pointing to other decrepit structures standing next to hers. The interview with Tanaka took place Monday, the day before campaigning was set to start for Sunday’s mayoral election, part of the quadrennial unified local elections taking place nationwide this month. 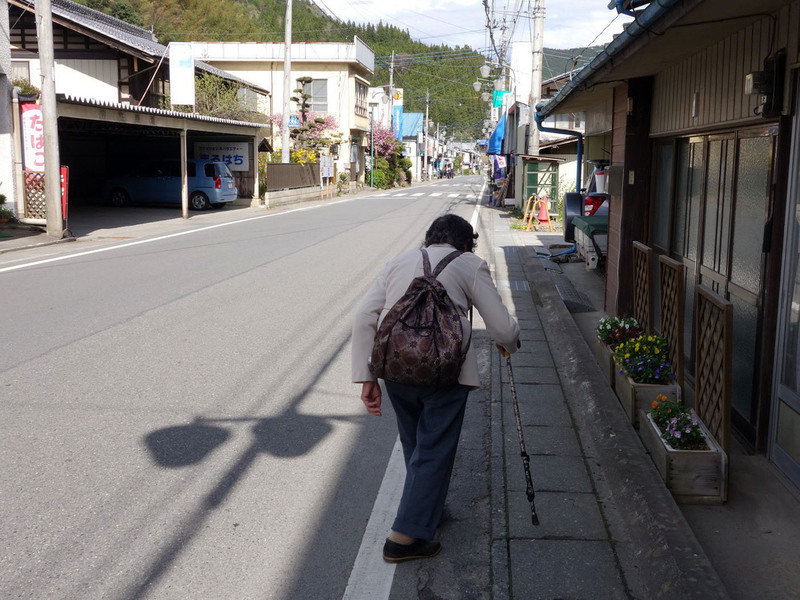 When asked what measures she wants the town or the central government to take to save her community, Tanaka just said: “There’s no way out.” Everybody just accepts the reality of the declining town, she said. Japan is rapidly aging. The population is predicted to shrink by about 30 percent to 86.74 million in 2060, from 127 million in 2013. And Kanna is among 869 municipalities, or 49.8 percent of all municipalities in the country, that a policy study group warns will soon “disappear” due to fewer births. In a report released last year, the Japan Policy Council, headed by former Iwate Gov. Hiroya Masuda, conducted demographic simulations focusing on the number of women aged between 20 and 39. Women in this age bracket give birth to 95 percent of all babies in Japan. According to the council’s report, the 869 municipalities will see more than a 50 percent plunge in women in this age bracket from 2010 to 2040, which the council says will make it difficult to maintain their local administrations. 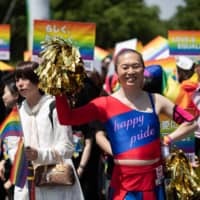 In particular, more than 80 percent of the cities, towns and villages in Aomori, Iwate, Akita, Yamagata and Shimane prefectures could “vanish” eventually, as they will likewise see a more than 50 percent fall in women in that bracket. The shocking results made headlines across the country, prompting the central government to take the issue of rural depopulation seriously. In Kanna, the number of women in this age bracket is predicted to plunge from 92 in 2010 to 13 in 2040, and the total population will fall from 2,352 to 691 in 2040. Kanna’s community leaders even appear to be losing political eagerness to improve the situation. 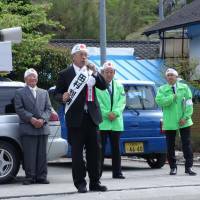 Despite the imminent crisis, only one person — Toshio Tamura, the former chairman of the town assembly — had filed to run in the mayoral election by Tuesday’s deadline, immediately making him mayor-elect without a vote. 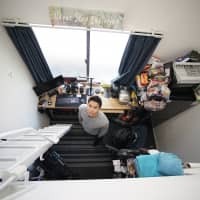 “You can see clearly (the next mayor) will face lots of trouble (in managing the town),” Tamura told The Japan Times, when asked why no one else decided to run for the post. Numerous rural communities in other areas are also facing a severe shortage of mayoral candidates. A total of 122 towns and villages across the country had initially planned to hold elections on Sunday, but 53 towns and villages, or as much as 43.4 percent of the total, saw only one candidate register by the deadline, immediately making them mayors-elect without a vote. Municipal assemblies are suffering from a similar situation. A total of 4,269 seats were up for grabs in town and village assembly elections on Sunday across the country, but 930 seats, or 21.8 percent, were filled without a vote because the number of candidates was the same as or fewer than the number of seats contested. “Municipal assembly members elected without a vote have no political legitimacy. 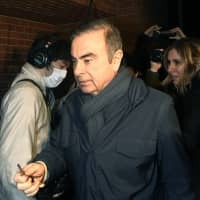 It means the collapse of representative democracy,” said Nobuo Sasaki, professor at Chuo University and an expert on local-level governments. “On the other hand, voters think nobody would make much difference and they won’t take the job (of assembly member or mayor) on their own. 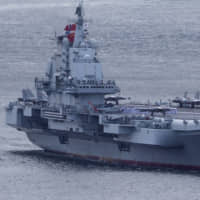 Both (voters and politicians) should be blamed” for the situation, Sasaki said. The professor said most rural municipalities face the same problems, namely rapidly aging populations and poor fiscal conditions, making policy options scarce and lively debate difficult for the candidates. Reinvigoration of rural areas has been a stated priority of many politicians for years. But the Liberal Democratic Party, which has ruled the country for most of the postwar years, has failed to stem the their decline. 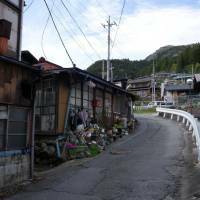 The LDP has long been criticized for throwing money to these areas via pork-barrel politics, relying on public works projects to give ailing rural economies a temporary economic boost rather than a drastic cure. This time, Prime Minister Shinzo Abe has pledged to make a difference, vowing not to repeat the past failures of LDP-led administrations. Vowing that the central government will no longer spend money on wasteful construction projects, Abe is inviting regional governments to propose their own ideas to promote their economies, setting aside a ¥1 trillion special budget for fiscal 2015. But Sasaki of Chuo University argued the central government still seems to be trying to control budget allocations, just as past LDP-led governments did, instead of letting municipalities make their own decisions. “I think (Abe’s emphasis on local economies) is just an election campaign tool for the unified local elections this time,” Sasaki said. Kuwajuro Miyamae, who will serve as Kanna mayor until Sunday, doesn’t believes Abe’s approach will a make difference. “I don’t think it will work. We’ve already tried in the past all the measures that the central government could think of” to reinvigorate the rural economies, Miyamae said in a recent interview with The Japan Times. Miyamae also said he is worried that Abe’s approach may only accelerate the competition among municipalities to win budget allocations from the government, which will make it even more difficult for rural communities to win funds. Kanna Mayor-elect Tamura said he recently met Shigeru Ishiba, minister in charge of revitalization of nonurban areas. 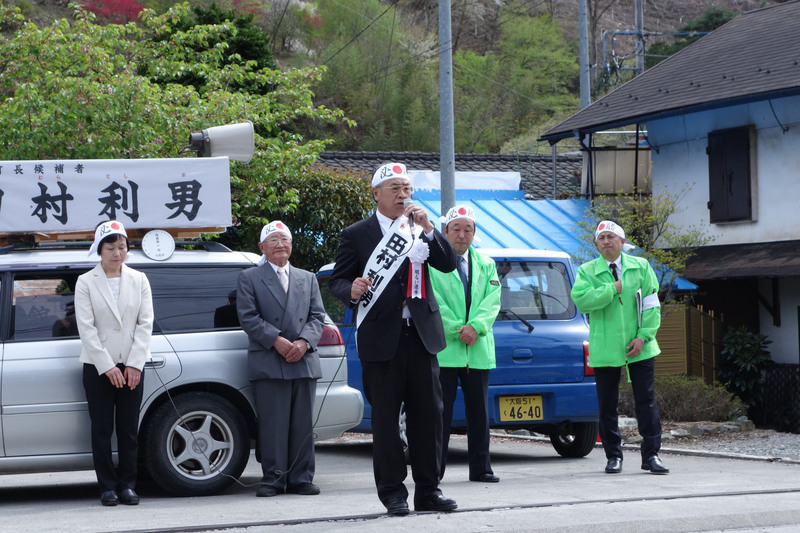 He quoted Ishiba as saying the central government “doesn’t care” if depopulated towns and villages vanish, unless their local leaders make serious efforts to save them. Tamura believes Abe’s government will prioritize proposals from a municipality if they are designed to utilize its unique characteristics. 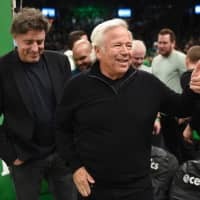 “If we don’t pursue unique measures, that will be the end of this town,” he said.